A relentless air-and-ground campaign against the [so-called] Islamic State [group] (IS) affiliate in Afghanistan does not appear to have radically diminished that militant group’s ability to inflict deadly attacks or prevented it from expanding its geographical reach in the war-torn country, analysts asked to assess progress against such radicals’ fighting capacity in Afghanistan told RFE/RL. U.S. and Afghan forces have waged a relentless campaign to destroy IS in Khorasan (ISIS-K) since that IS offshoot emerged in 2015, with Washington and Kabul claiming their campaign has killed hundreds of militants and commanders, including its leaders. But speculation at the group’s demise has proved premature as it has expanded to at least five provinces, from Nangarhar, Kunar, and Nuristan in the east to Jawzjan in the north and Ghor in the west. ISIS-K has also continued to carry out a series of high-profile attacks seemingly targeting members of the mainly Shi’ite Hazara community. 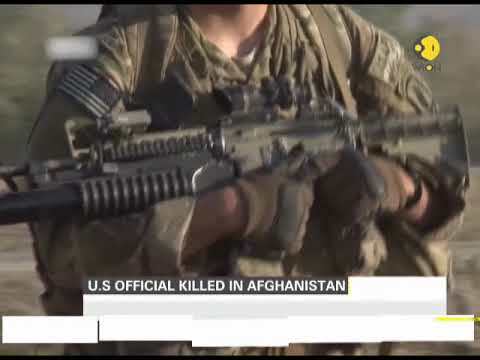 U.S. military officials have maintained the group is on the retreat, although reports this week claimed an exasperated U.S. President Donald Trump recently told his top officials that “we aren’t winning…we are losing” the war in Afghanistan to militant groups like the Taliban, Al-Qaeda, and ISIS-K.
Analysts say ISIS-K is neither a monolithic group nor a direct extension of the extremist group in Iraq and Syria — representing more of an alliance of splinter groups from the Afghan and Pakistani Taliban with elements of regional militant groups such as Islamic Movement of Uzbekistan (IMU) and the Pakistan-based Lashkar-e Jhangvi. These kindred groups have simply rebranded themselves to attract funding and replicate the success of IS militants in the Middle East, say analysts. Majidyar says it is also no coincidence that the ISIS-K emerged in the wake of the Pakistani Army’s military offensive starting in 2014 that drove myriad militant groups from Pakistan’s lawless tribal areas into eastern Afghanistan, where ISIS-K has set up its headquarters. NATO’s spokesman in Afghanistan, U.S. Navy Captain William K. Salvin, told RFE/RL that ISIS-K was “on the run in Afghanistan.” He added that the number of ISIS-K militants is down to around 1,000 from a high of 3,000, although he acknowledged the group had expanded its activities to western and northern Afghanistan. In April, the U.S. military in Afghanistan dropped a GBU-43/B Massive Ordnance Air Blast Bomb (MOAB), dubbed “the mother of all bombs,” in an effort to destroy IS hideouts in a complex of tunnels and bunkers in eastern Nangarhar Province. U.S. officials said the bomb killed over 90 militants, though fighting in the area has continued. Instead of being a death blow to the group, ISIS-K has continued to carry out a series of attacks targeting the Hazara minority. In the latest attack, ISIS-K carried out a suicide bombing at a Shi’ite mosque in the western city of Herat, killing at least 32 people. In its deadliest attack to date, the militants killed over 80 people in twin suicide bombings targeting a protest staged by members of the Hazara minority in July 2016. At the time it was the deadliest attack to hit the Afghan capital since the U.S.-led invasion in 2001. Vanda Felbab-Brown, a senior fellow at the Washington-based Brookings Institution, says ISIS-K has managed to tap into growing sectarianism that has been metastasizing in Afghanistan. “Former Taliban leader Mullah Akhar Mansur was trying to avoid playing the sectarian card and blatantly ethnic discrimination and got rid of local commanders for that — and they joined ISIS-K,” she says. The resilience of ISIS-K fighters in Afghanistan has fueled concerns of a possible spillover into Afghanistan from the fighting in Syria and Iraq. There is little evidence yet of fighters relocating from Iraq and Syria, although Afghan Defense Ministry spokesman General Dawlat Waziri said this week that the government had observed an increase in numbers of foreign fighters and weapons entering the country. Michael Kugelman, South Asia associate at the Woodrow Wilson International Center for Scholars in Washington, says there is good reason to believe that some IS fighters are coming to Afghanistan from the Middle East as their strongholds and safe havens are destroyed there. IS militants have lost large swaths of the so-called caliphate they declared in 2014. Iraqi government forces last month recaptured the northern city of Mosul, IS’s last remaining stronghold in Iraq. Meanwhile, U.S.-backed Syrian Kurd and Arab fighters are fighting to recapture the city of Raqqa, the group’s stronghold in Syria. There are also fears about Afghans who have fought alongside IS militants in Syria and Iraq returning to their homeland.